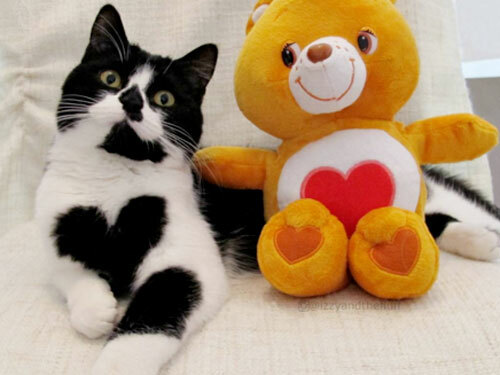 Please meet Zoë the cat who has an actual heart-shape on her chest. As you can see, Zoë is basically a Care Bear IRL. And ZOMG, she’s looked this way since she was a wee kitten. …and OBVIOUSLY loves a good scratch. She even has a BFF (Izzy, for the record). We have no idea if Zoë can or will ever be able to shoot a rainbow from her chest, but either way we love Zoë, and clearly we are not the only ones. Live your best life Zoë with the heart on her chest! !